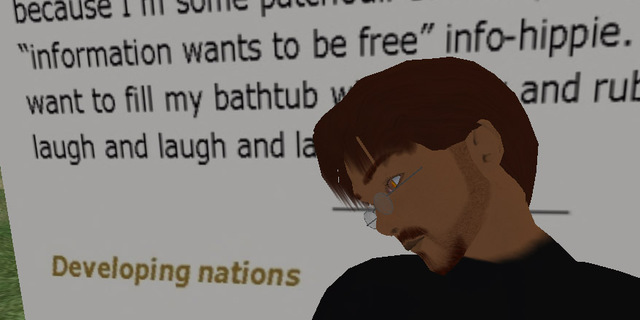 In a particularly brilliant addition, Falk has created a script which will enable Cory to autograph the Second Life edition his novel. To do that, readers just have to bring their copy of his book to the event, and set it on a small table in front of Cory. 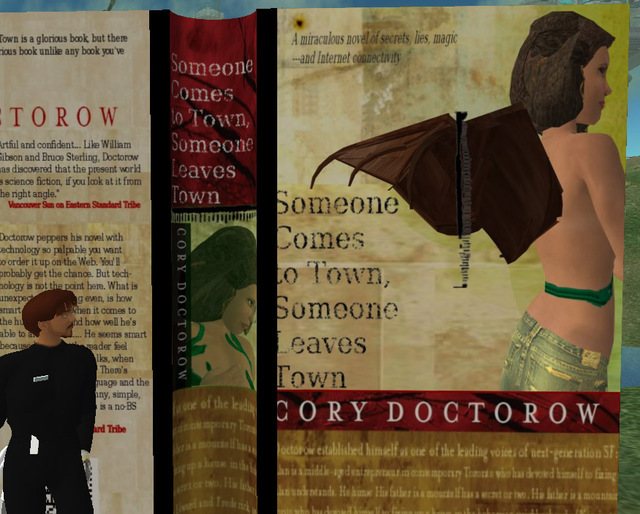 To autograph it, Cory simply has to mouse-click the book, which causes a digitized picture of his real signature (with author's dedication) to be superimposed on the cover. So signing the virtual edition of his book requires about as much effort as it does when he takes pen in hand to autograph the tree-based version. I'm very curious if Residents will come to consider autographed copies of the SL edition much more valuable than the unsigned version. 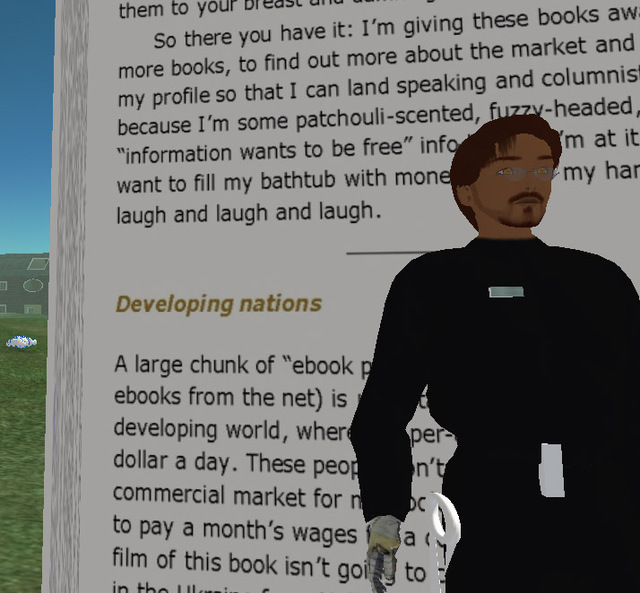 For that matter, I'm curious how many Residents will take the time to read the entire novel in Second Life. It's not necessarily the most natural thing to read a full-length novel in an online world, after all. Then again, as I recently pointed out to a freelance newspaper reporter, with e-mail, online magazines, blogs, and so on, many of us already read tens of thousands of words on our computers every day. Given that, maybe it's actually the inevitable next step in the evolution of the Internet as a text medium. I read the PDF version of Someone Comes To Town three days after hearing that it had been released. I found it to be profound and compelling and I encourage others to read it too.